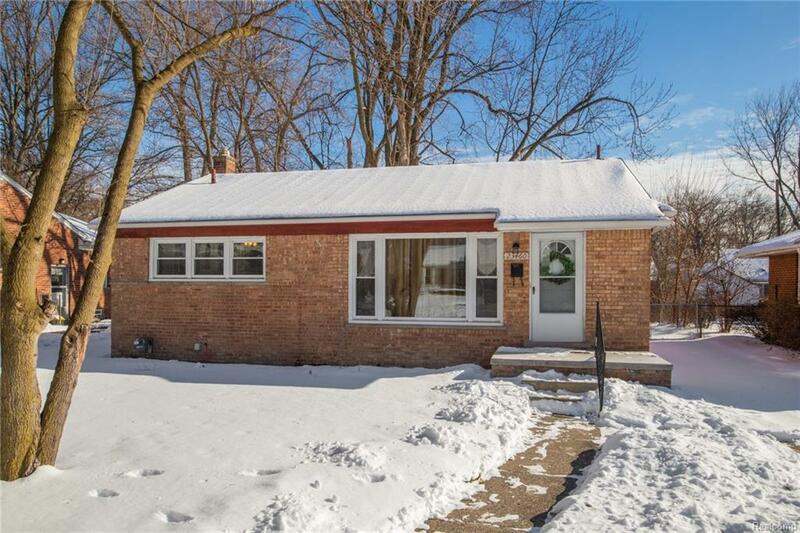 Sharp and move-in ready brick ranch well-located on a beautiful tree-lined street in Oak Park with Ferndale Schools. Bright and sunny home with lots of large windows to let the light stream in. Open living-dining room features coved ceilings and arched doorways. Tons of updates since 2012: New roof and gutters, windows (with a 35 year guarantee), garage door, some kitchen cabinets, kitchen appliances, window treatments, ceiling fans, carpet and paint, front porch and steps, some hardwood floors refinished. Great storage throughout: bedrooms have double closets and kitchen has lots of cabinet space. Basement features large rec area, as well as laundry and storage rooms. Lovely treed and fenced backyard. Two-car detached garage. Convenient location with easy access to I-696, shopping and restaurants.